After appearing in Russia, Brazil, the UK and recently in Malaysia, the 2017 Samsung Galaxy A3, Galaxy A5 and Galaxy A7 will reportedly be making their way to India very soon. The 2017 Samsung Galaxy A series was unveiled at the beginning of this year and so far, only a handful of markets have been able to see the phone. While the release has been gradual, not all markets that have seen the midrange family are able to get their hands on the trio, rather, some can only buy two of the phones – either Samsung Galaxy A3 2017 and Samsung Galaxy A5 2017 or Galaxy A5 2017 and Galaxy A7 2017. The claims that Samsung Galaxy A3, Galaxy A5 and Galaxy A7 2017 will be released in India comes from Pricebaba and so far, the phones should be here in a few weeks’ time. Of course, this doesn’t confirm anything, but it brings hope to the Indian market and hopefuls – that they’ll soon be able to purchase the three phones locally. As expected, there are no pricing details just yet, but this should change once they are confirmed for this market. If the trio makes it to India, those who go for Samsung Galaxy A3 2017 will end up with a 4.7-inch phone with an HD resolution and Android Marshmallow out of the box. Under the hood, you get an octa-core Exynos 7870 SoC clocked at 1.6GHz and 2GB RAM, but the storage is a bit minute at 16GB, though you get a microSD card slot. The back has a 13MP snapper while the front comes with an 8MP snapper. Like other phones, there is support for 4G LTE and a 2350mAh battery to keep it alive. 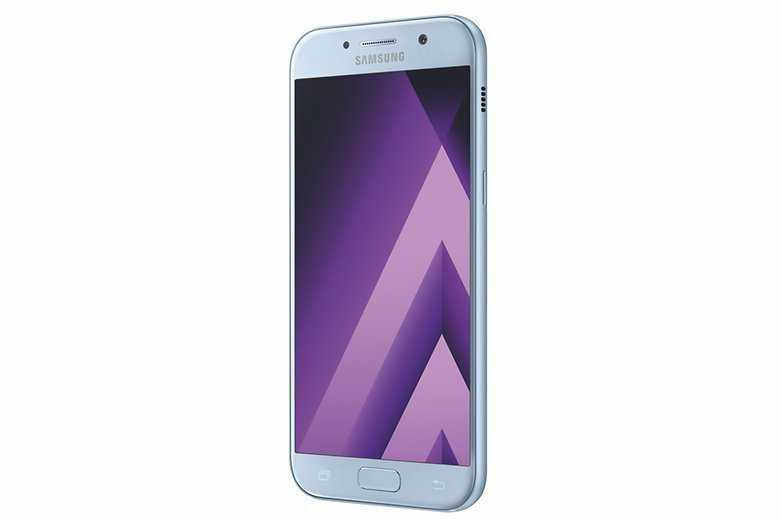 The middle-of-the-pack Samsung Galaxy A5 2017 has a slightly larger 5.2-inch Super AMOLED screen with a Full HD resolution and Android Marshmallow. Under the hood, you get an Exynos 7880 octa-core clocked at a speed of 1.9GHz and is paired with a RAM of 3GB and 32GB of inbuilt storage, which can also be expanded via a microSD card slot. The back panel has a 16MP lens and so does the front panel. To keep it going is a 3000mAh battery, slightly smaller than the 3600mAh used on the 5.7-inch Samsung Galaxy A7 2017. In fact, battery capacity and screen size are the only differences between the Galaxy A5 2017 and Galaxy A7 2017. Despite the differences, the trio has a dust and water resistant body with an IP 68 certification, meaning no harm will come its way even if it drowned for 30 minutes in water that is up to 1.5 meters deep.